Unfortunately Point Place is a fictional town so we settled for the state capital of Madison and the beer capital of Milwaukee, Wisconsin. The drive further down the Mississippi River into Wisconsin kept those beautiful views coming. This part of the states is really unique and totally underrated as far as scenery goes. 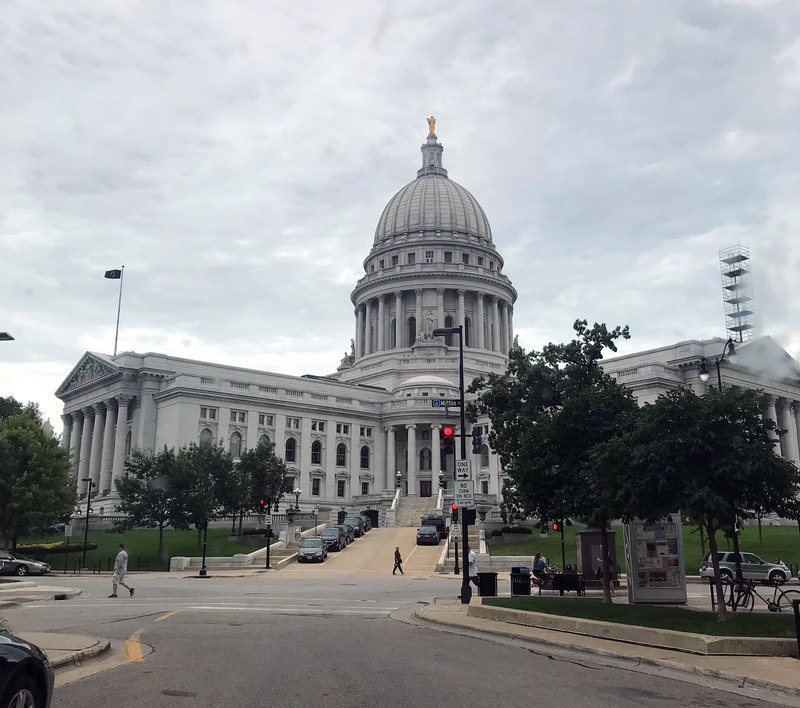 We made it to Madison and did a few much-needed errands like an oil change and a visit to the gym before exploring the city a little bit. It took us by surprise how nice it was and how crazy that State Capitol building is. We surely didn’t expect it to be so grand and the city to be so alive (sorry Madison, we doubted you). The Capitol building has a really cool x-shape and hosts all kinds of cool events on the lawns that take away from the typical stuffy feel of a government building. We were too late to do one of the free tours but if the inside is anything as beautiful as the outside, I’m sure it’s worth the price. University seems to be the main drag in Madison and it was chockfull of young people with backpacks and all the things that come along with that. Also, to Madison’s roster of cool stuff is the fact that architect Frank Lloyd Wright grew up there and has designed a number of classic houses and buildings around town. We didn’t have a ton of spare time but would have loved to tour around checking them out. We resorted back to the ol’ Walmart game and spent the night plugging our noses from sewage smell at the Monona location. Just to clarify, there’s a sewerage plant nearby so if the wind is blowing in a certain direction, it definitely makes its presence known. 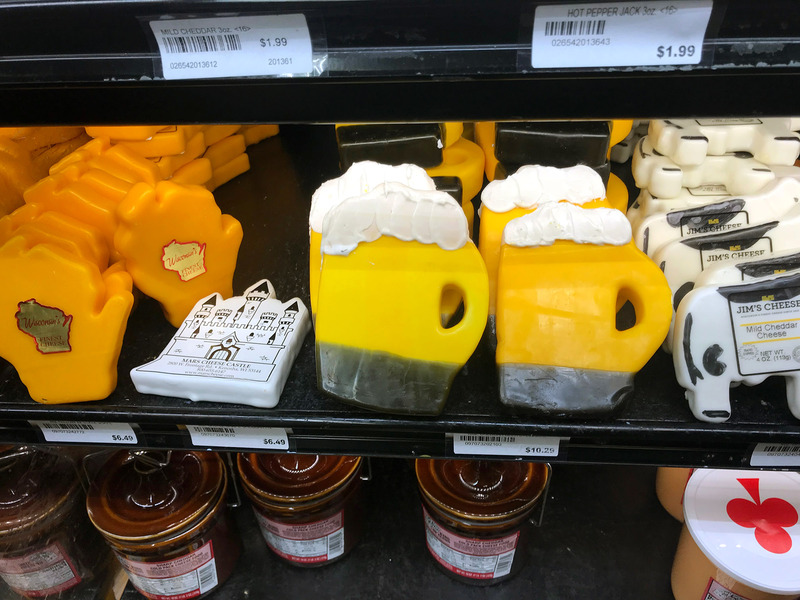 We had a decent sleep and woke up the next morning with two things in mind: beer and cheese. We made the pilgrimage to Milwaukee to visit the Pabst Brewery and walk the streets of beer-land. Once we found a place to park, we gathered some change to feed the parking meter and saw that it accepted nickels and dimes. Cheap parking is always an awesome surprise but this was downright comical. Parking in Toronto can be $4-6 per half hour so throwing in a few dimes and parking for an hour felt like a steal. 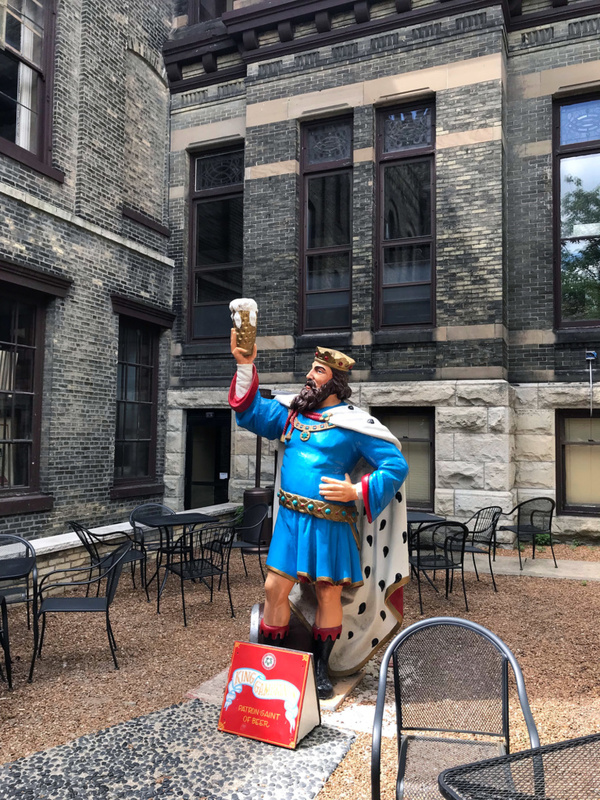 We checked out the Best Place, which is the brewery store and learned that the brewery in Milwaukee no longer actually produces any beer and is in the process of being preserved into a museum and historical place. 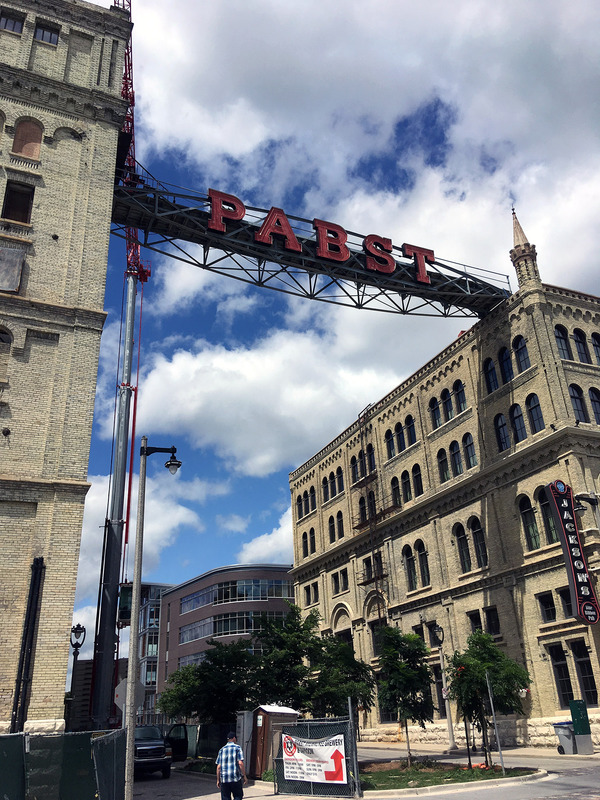 Walking the streets tells the story of the beginnings of the brewery and how the Best family’s (Best being their last name) beer company evolved into Pabst. Not bad for sidewalk literature. 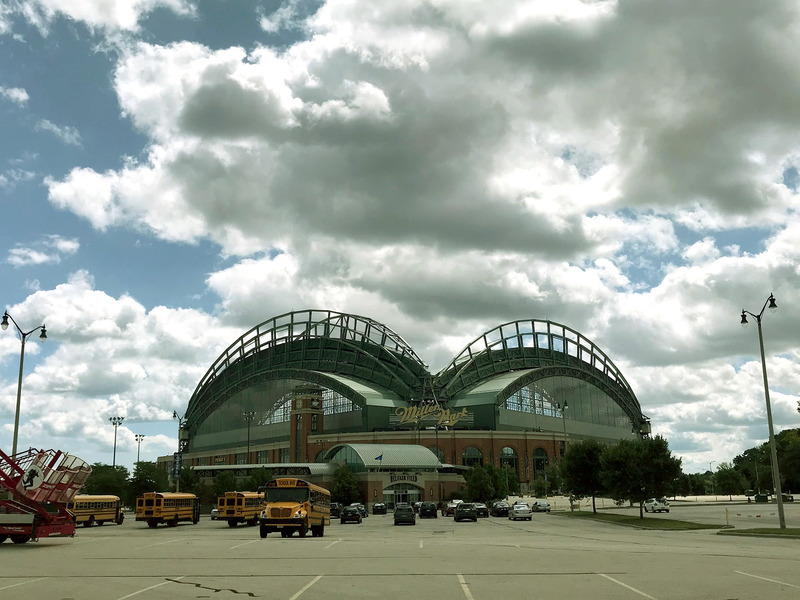 Driving by the Miller Park was pretty cool, even for non-sports lovers, although the rest of the city was mostly concrete and not the most scenic. 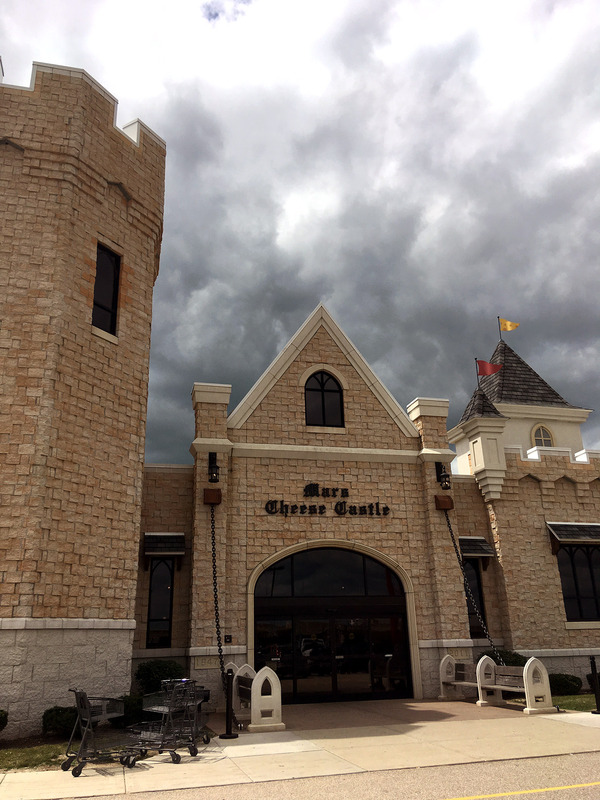 We didn’t really have time for scenic anyway since we were on a mission to stock up on some cheese before leaving Wisconsin and we found just the place to do it: The Mars Cheese Castle. South of town in Kenosha is a literal castle filled with God’s gifts to humanity – cheese, cured meats and libations. There’s no denying that cheese is pure magic since every person who walked out of the castle was carrying a very full bag and smiling (albeit their wallets were probably a little thinner). Every cheese under the sun from Wisconsin and other parts of the world were available to take home and some even to sample. We could have spent all day and all of our money there but we picked up a few interesting new cheeses and headed back on the road. With the fridge stocked with beer and cheese, we knew our time in Wisconsin was well spent. We had a couple more Great Lakes to get around before another border crossing into the homeland and the race was on to get back. A castle filled with cheese. A reality in Kenosha, WI.